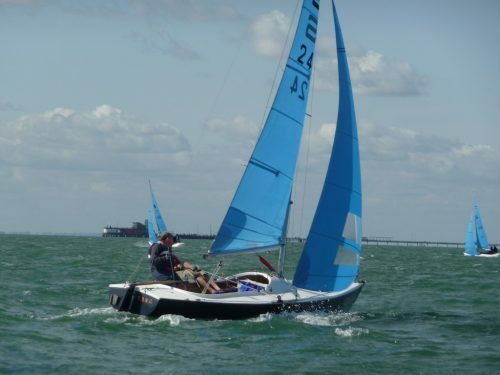 S33 Sea Phantom in lovely nick, with a 3hp outboard, summer and winter covers and anchor. New rigging unused; hull sprayed since last used; floor painted. Privately owned, used no more than 6 or 7 times since new so in very good condition. Excellent hull always kept covered but rarely used. Includes launching trolley and cover. 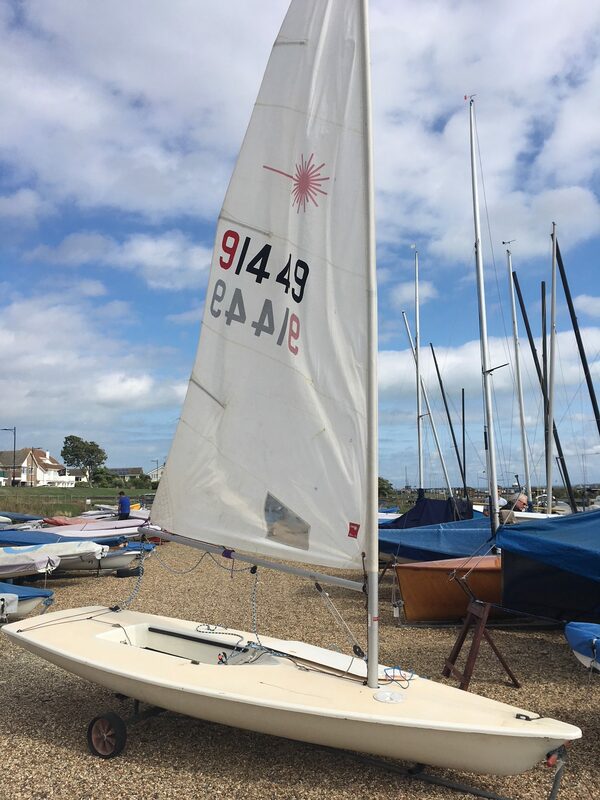 Comes with 2 sets of sails – Racing Mainsail and jib (I never used) and a yellow training sail & jib. Rigging all looks clean and new. Grey Hull. Good foils and spars. Includes Pico Sport Pack – 2 x padded side toe straps, 1 x padded centre toe strap, carbon fibre tiller. Storage bags for rudder & tiller. 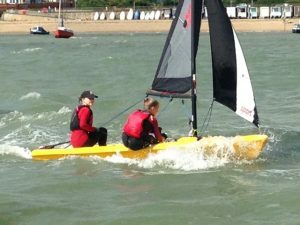 Originally bought as part of a group dinghy purchase by TBYC about 5 years ago – hardly used. Ready to sail. Has been kept in good condition. Includes launching trolley with wide wheels. £990 ono. Lovely boat, pleasure to sail. 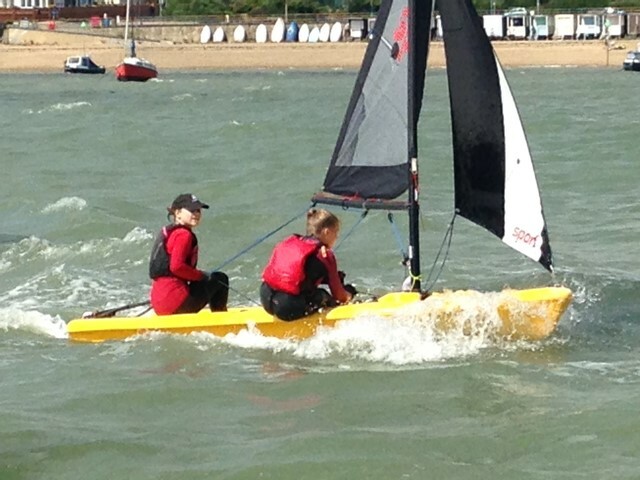 Winning boat at cadet week and cadet racing 3 seasons. Well looked after, upgraded with great Harken blocks, outhaul system controllable from deck, like on Laser 1. With new trolley: Laser Pico Seitech Trolley 70001, aluminium, which can be taken apart. It is a light, easy to pull, well balanced. Racing replica main sail from Rooster, not new, but well looked after. Selling as my son is sailing RS Feva now. He had great fun over the years with friends and gained confidence. Complete with launching trolley and cover. Storage fees paid until end of summer season. Some knocks and marks on the boat consistent with age. New Light weight Catamaran Year 2015 (first sailed 2017) White Hull black stripe. Big Wheel Trolley and pull handle. Road Trailer & box inc Light Board. A few cosmetic repairs to be looked at imminently to bring back to new condition , However price negotiable at any stage. 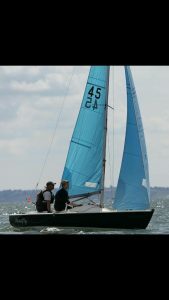 Selling because someone may have more sailing time and may benefit racing more frequently than me in a lighter boat. 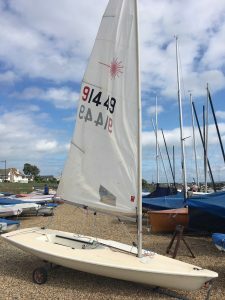 2 Hyde Mains , 2 Hyde Genoas , 4 Spinnakers including one brand new never been used. 1 Batt Genoa 18 months old , 1 Batt Main 3 months old. New cockpit cover and Hyde Full winter cover. Tacktic compass , Anchor , New mooring chain 2018. Hyde Spinnaker bag + toe straps.